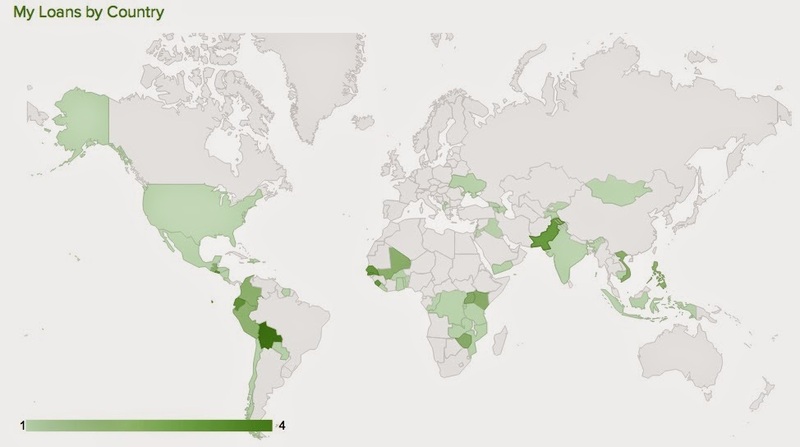 This is the map of my Kiva loans to date. Micro lending to entrepreneurs at home and worldwide is easy with Kiva. 85% - 90% invested in food related enterprises. If you want to make a difference to the lives of entrepreneurs in the U.S. and around the world, here's a great way to start. You make small loans (a little as $25) to entrepreneurs of your choosing, that are gathered up with other lenders to make the full loan. Risk is spread and deals get done. Kiva makes it easy to make a difference.